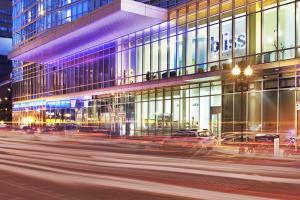 With views of Boston's glimmering city lights, W Boston Hotel gives you access to the dynamic Theatre District. Boutique accommodations are equipped with signature W pillow-top beds and innovative décor. While you're here, savor and sip cocktails in the vibrant W Lounge or unwind with a detoxifying treatment at Bliss® Spa. 15 minute drive from Logan Airport, in the heart of the Theatre District.